Q: Do you spend more time playing computer games online (Internet) or offline (single-player, LAN, etc.)? Surprise, surprise, the overwhelming majority of us (76%) spend more time playing computer games offline than online. The remaining 24% of the votes are split evenly between those who spend an equal amount of time playing computer games online and offline, as well as those who spend more time playing them online. Q: How do you feel about the announcement that Dragon Age: Origins will have extra DLC (downloadable content) available for purchase from the day of the release? The results are quite clear - the majority of our visitors (70%) hate the concept of 0-day DA:O DLC and feel that it should have been included with the game instead. 19% of those who voted, however, don't see the Dragon Age: Origins DLC as a big deal and are indifferent to it. Only 11% of the participants in the poll love the fact that DA:O had extra paid downloadable content available on the day of the release. Q: Which is your favourite Baldur's Gate 2: Shadows of Amn boss? The fact that we love dragons really goes without saying, but let's do it again anyway. The relative majority of those who voted in the poll (43%) claim Firkraag as their favourite SoA boss. The next favourite, with quite a few votes less, is Irenicus with 28% of the votes. After Irenicus we have Bodhi, who is the third most popular Shadows of Amn boss with 13% of the votes. The chunky Unseeing Eye has a few fans as well - he (it?) is the favourite boss of 5% of the poll participants. Somehow (I blame a certain person of the feline persuasion) we forgot to put Kangaxx on the list so he was one of the popular names in the Other poll option. The next name that's come up there was Shangalar, so those two are fairly popular as well. Combined, the Other option received 4% of the votes. Another 4% of the votes have gone to the Shade Lord. The remaining 2% of the votes have been claimed by Tor'Gal the troll, proving once and for all that trolls really don't get much sympathy from anyone. Q: Have you played The Witcher, the CRPG made with a heavily modified Neverwinter Nights engine? Nearly a quarter of those who voted (24%) have played The Witcher but haven't finished it (yet), closely followed by the 23% of those who are planning on getting the game at some point in the future. 19% of the poll participants have played The Witcher and finished it once, followed by 17% of those who have finished it twice or more. Finally, another 17% of our visitors who have voted in the poll haven't played The Witcher and have no interest in it. Q: Does Dragon Age: Origins' mature rating make it more or less appealing to you? The majority of those who voted in the poll (51%) consider Dragon Age: Origins more appealing due to its mature content rating. However, 43% of the poll participants don't really care about the DA:O mature rating, claiming that it makes no difference to them. Only 6% of all the participants in the poll consider Dragon Age: Origins less appealing because of its mature rating. Q: What kind of CRPGs in terms of single-player gameplay length do you generally prefer? No doubt about it, the majority of our visitors (61%) prefer very long CRPGs, offering 100+ hours of single-player gameplay and the best possible value for the money. The remaining 39% don't prefer such extremely long CRPGs, however. 13% prefer them to take 50-75 hours, 12% 75-100 hours, 11% 30-50 hours and 3% actually prefer CRPGs that last less than 30 hours. Q: Would you be interested in working for a computer role-playing games developer like BioWare or Obsidian if you had the chance? Judging by the overwhelmingly positive votes, the majority of the poll participants (77%) would very much like to work for a company like BioWare or Obsidian, not necessarily with much regard for the conditions of employment. 19% of our visitors who voted in the poll might be interested in working for a reputable CRPG developer, but their decision would depend on the conditions offered or required. Only 4% of all who voted in the poll would never be interested in working for a company like BioWare or Obsidian. Q: How would you rate Obsidian's efforts at patching Neverwinter Nights 2 in terms of speed and efficiency? Considering the low number of votes on the poll, Obsidian's patching of NWN2 isn't very high on the list of things that interest our visitors. The votes of the relative majority at 28% also indicate that they either haven't been following Obsidian's work on the patches, or simply don't care about them. Almost as many people (26%) who have participated in the poll have rated Obsidian's NWN2 patching efforts average in terms of speed and efficiency. Next up are the 24% of those who have rated Obsidian's efforts as good, followed closely by the 23% of those who consider them poor. Q: Do you intend to switch your gaming OS to Windows 7? At this point (July 2009), the relative majority of the poll participants (38%) don't intend to switch their gaming OS to the upcoming Windows 7. 22% of those who voted might switch to Windows 7, but haven't decided yet. The remaining 40% of votes are split among those who do intend to switch their gaming OS to Windows 7; 21% once W7 has been out for a while, 13% once it becomes available and 6% already have it pre-ordered. Q: On a scale of 1-5, how excited are you about the upcoming Dragon Age: Origins? Not really much to add here except noting the fact that the relative majority of our visitors who have voted in the poll (43%) are very excited about Dragon Age: Origins indeed, rating their excitement 5/5. A further (combined) 38% of those who voted are also quite excited about the upcoming DA:O, rating their excitement 4/5 and 3/5. Only 19% of the participants in the poll aren't excited about Dragon Age: Origins (at all), rating their excitement 1/5 and 2/5. Q: Which is your favourite lower-level swarm monster from the Infinity Engine games? The relative majority of the poll participants (17%) claim that nothing says "lower-level swarm monster" like a kobold and we tend to agree. We just love to hate those little buggers. Goblins have nearly as many fans as the kobolds, however - 15% in our case. Another iconic swarmie, the goblin. People tend to be partial to skeletons as well - 12% of those who voted named them as their favourite swarmie. Xvarts, gibberlings and orcs are equally popular with 11% of the votes each. 10% of the poll participants favour gnolls over all other lower-level swarm monsters, followed closely by hobgoblins, which registered 9% of votes. Vargouilles and rats are the least popular swarmies, with 4 and 3 percent of votes respectively. Q: Have you bought Mysteries of Westgate, the NWN2 adventure pack? The majority of the poll participants (55%) haven't bought Mysteries of Westgate and most likely won't buy it in the future either. Quite a few of those who have voted (30%) haven't bought MoW yet, but intend to do so at some point in the future. A relatively small number - 16% of all the poll's participants - have already bought Mysteries of Westgate. 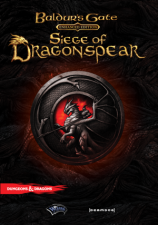 Q: Does the announced mild copy protection (disk-check only) for Dragon Age: Origins influence your buying plans for the game? There's no question about it - the majority of the poll participants (59%) feel very positive about the announced mild copy protection in Dragon Age and are more likely to buy the game as a result. More than a quarter of those who voted (28%), however, aren't moved by the announced disk-check only, as they would have bought Dragon Age regardless of the copy protection used. A relatively high 14% of all the participants in poll don't intend to buy the game and consequently don't really care about the copy protection either. Quite surprisingly, not even half of the poll participants (46%) own all of the Infinity Engine games and their expansions. Plenty of room for people to complete their collections yet! 34% of those who voted are only missing 1-2 games or expansions, however, so their IE collections are nearly complete. 12% of the participants in the poll are missing 3-4 IE games or expansions, followed by 4% of those who are missing 5-7 of them. If you're interested in adding some Infinity Engine games to your collection, check out our game store, where you'll find all of them for sale. Q: Which of the listed settlements you could visit in Baldur's Gate would you like to live in the most? Not too surprisingly, the relative majority of those who have voted in our poll (40%) would like to live in the game's titular city of Baldur's Gate the most. The fortress library of Candlekeep is only slightly less popular, being the favourite fantasy living destination of 35% of the poll participants. The town of Beregost with its wide array of inns and taverns is a favourite among 17% of those who have voted in the poll, so about half as popular as Candlekeep. The remaining 8% of votes are split almost equally between the towns of Nashkel and Ulgoth's Beard, which won't be opening any new inns due to the influx of tourists any time soon. Q: Which Neverwinter Nights 2 expansion is your favourite? Slightly more than a third of the poll participants (34%) have selected Mask of the Betrayer as their favourite NWN2 expansion, closely followed by a third (33%) of those who haven't played either of the NWN2 expansions. 15% of those who have voted have played only one of the expansions so they couldn't pick their favourite. Only 10% of the participants in the poll favour Storm of Zehir over Mask of the Betrayer, followed by the remaining 8% of those who like both Neverwinter Nights 2 expansions equally. Q: Which is your favourite Neverwinter Nights expansion prestige class? Easily enough to predict, the Red Dragon Disciple is the favourite NWN expansion prestige class in our community, with 21% of the votes. The Weapon master is a PrC of high popularity as well, it being the favourite of 17% of the poll participants. From here onwards, the popularity ladder gets more balanced. The Assassin prestige class is the favourite of 9% of our visitors who have voted in the poll, followed by 2x 8% of votes for the Shadowdancer and Arcane archer prestige classes. The Blackguard has 7% of fans, closely followed by 3x 6% in favour of the Pale master, Dwarven defender and Champion of Torm PrC's. The Shifter and the Purple dragon knight NWN prestige classes both have 5% of fans, keeping in mind that the Purple dragon knight PrC was introduced very late in the life of Neverwinter Nights, so not everyone had the PrC available while they were still playing. The Harper scout is the last and definitely least popular NWN prestige class, being the favourite of only 2% of those who have voted in the poll. Q: How many of your PC game purchases in the last 6 months have been made from game download web stores? The majority of those who voted in the poll (71%) aren't at all keen on online game download purchases, having made none in the last 6 months. 11% of the poll participants, however, have made all of their PC game purchases from game download web stores in the last 6 months, followed by another 11% who have made a few such purchases in the last 6 months. The remaining 7% of the people who have voted have made many of their PC game purchases in the last 6 months from game download web stores. Q: Now that Mysteries of Westgate, the first Neverwinter Nights 2 premium module is finally nearing release, are you going to buy it? Nearly a third (30%) of our visitors who have voted in the poll don't own NWN2, so the poll question is rather irrelevant to them. Exactly as many (another 30%) might buy Mysteries of Westgate, but they haven't decided yet. Almost a quarter of the poll participants (24%) definitely intend to buy MoW, while the remaining 16% of those who have voted are convinced that they won't be buying it. Q: If you're going to buy Dragon Age: Origins, which version are you going to get? Somewhat surprisingly, the overwhelming majority of the poll participants (90%) have voted that they'll be buying the PC version of Dragon Age. Only 5% of all who have voted intend to buy the console version of Dragon Age: Origins, closely followed by the 4% of those who haven't yet decided which version of the game they'll be getting. Only a single percent of the poll participants intend to buy both the PC and the console version of the game. Q: Is the global financial crisis affecting your game and/or gaming hardware purchases? Our latest poll's results indicate that the majority of our visitors who have voted in the poll are not affected by the global financial crisis in the slightest when it comes to their game/gaming hardware purchases. Alarmingly, however, nearly a quarter of those who have voted (24%) are very much affected by the financial crisis as far as their game and/or gaming hardware purchases go. The financial crisis is also somewhat affecting the remaining 21% of the poll participants' game/gaming hardware purchases. Q: Which operating system do you primarily use for desktop gaming? Overwhelmingly, the majority of our visitors (69%) use Windows XP as their desktop gaming OS of choice. Only slightly more than a quarter (26%) of those who have voted have switched over to Vista for their desktop gaming. 3% of the poll participants use other OS's for desktop gaming, primarily Linux, judging by the poll comments. 2% of those who have voted game on Mac OS, and finally, practically nobody uses Windows 95, 98, Millennium or 2000 for desktop gaming any more - only three of the participants in the poll have voted that they primarily use one of those operating systems for desktop gaming.